Nadine Machiskinic died on January 10, 2015 after falling 10 storeys at the Delta Hotel in Regina Saskatchewan. The police were not notified for nearly 60 hours. 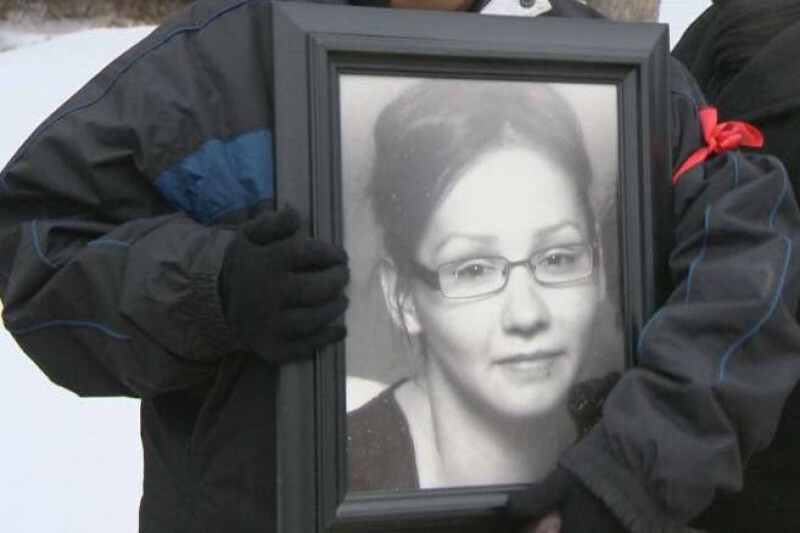 Nadine was a young Indigenous mother of four. She was a beloved daughter, mother and niece. The family struggled for over a year to find answers in her death. Coroners delays and police delays continued. At the two year anniversary of her death, there still remains more questions than answers in Nadine’s case. To help find answers, the family has secured a lawyer to represent them in the upcoming Coroner’s Inquest. The Coroner’s Inquest will be held March 27-31, 2017. This will be a public event and all supporters are encouraged to come and show support for the family. The Coroner’s Inquest will investigate the circumstances of her death and the circumstances surrounding the investigation. During a time in which a National Inquiry into Missing and Murdered Indigenous Women and Girls is being undertaken, it is necessary that Coroner’s Inquests into the deaths of Indigenous women are carried out in such a way that families are best supported. The family needs a lawyer to represent them at the Inquiry in Regina. Help support them by giving to this fund to pay for that lawyer. Help them find Justice for Nadine and justice for her children. Thank you, between online and off line donations we are actually getting close to our fundraising goal. We are just one week away from the inquest and your support is critical. We are very fortunate for the legal team that are working with you and so Thank you for your support of everyone who is helping us pursue justice for Nadine. This week is critical as we are near our fundraising goal. Please share with all your contacts, as every dollar helps. Again I just wanted to thank everyone for your support to " Justice For Nadine" your support is greatly appreciated! Just wanted to thank everyone who has already pledged and or given your support financially to this case.